Natalie Runyon is a missionary from Ohio, America who became a co-founder of GMM. She has a Bachelor’s Degree in Communication as well as a Pastoral Degree from World Harvest Bible College. 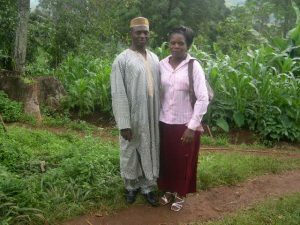 She and her husband, Ron, are passionate about empowering the people of Cameroon so that they can improve the quality of their lives. 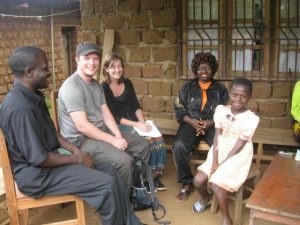 Tom and Michelle Jordan were at the Goodness and Mercy Missions at Belo, Cameroon. They will volunteer for 2 months. They come from England. Mr. Nges Daniel is a mentor and volunteer of GMM. The mentorship program is for youths. We just assign a mentor to some particular youths, to encourage them and help them grow up to be responsible to themselves and to the society. Mr. Nges is fit for the task. He has worked with youths for decades, even internationally. He was company commander of Boys’ Brigade in Cameroon, moving from place to place and organizing youth groups. 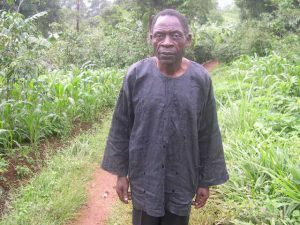 He is a teacher by profession and has a Masters’ Degree from the International University of Bamenda. He is currently Headmaster of Government primary school Laikom. He attends the Jinkfuin Baptist church with his family. He helps GMM by writing out some projects, teaching empowering lessons at sessions, mentoring some youths and other things. Gary H. is from the UK. Gary helped raised funds and bought furniture and books for the ABCD primary school in Jinkfuin. Stefan and Marco are from Switzerland. 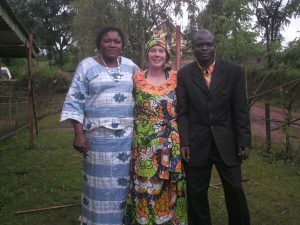 They both volunteers with Goodness and Mercy Missions in Cameroon working at the Child Sponsorship program. Dee Ryan is from Ireland. 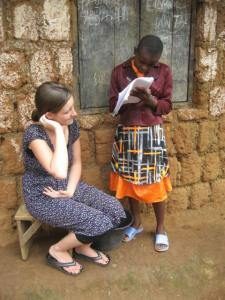 She volunteered with GMM for a period of one year working at the child sponsorship program and teaching at a college. 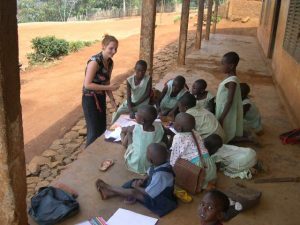 Annukka Sivon (Finland) teaching children at the primary school Jinkfuin. 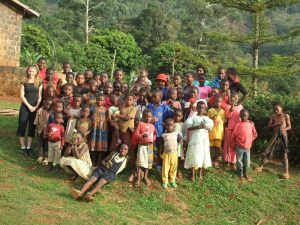 The Founder of GMM founded This school chiefly to help the disadvantaged children. Chiakuo Emannuel is a graduate from the University of Yaounde, and Higher ENS. Presently he is the Vice Principal of Government High School, Belo. 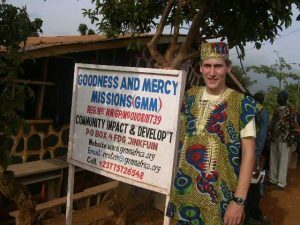 He and the wife Jecenta are mentors and volunteers with GMM. Jecenta is headmistress of Government Primary school, Acha. Chiakuo Emmanuel and Wife, Jecenta. (MENTORS). Pastor Chiambah Godlove is pastor of Baingoh Baptist church and chaplain of Acha Baptist college. 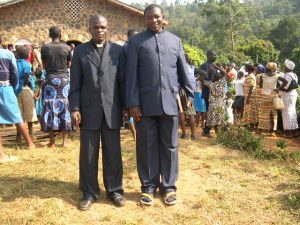 He helps GMM in preaching and teaching, mentoring some youths and helping care for the orphans and women program in Baingoh and Mbingo areas.